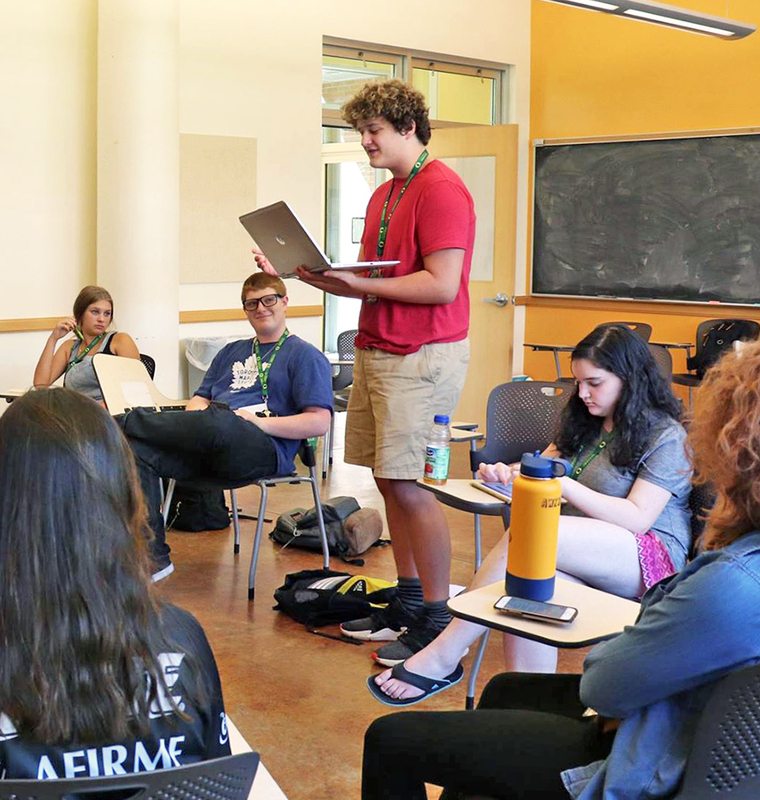 During our weeklong summer program on the UO campus in Eugene, high school communicators strengthen their unique voices while developing critical thinking, leadership, and entrepreneurial skills. 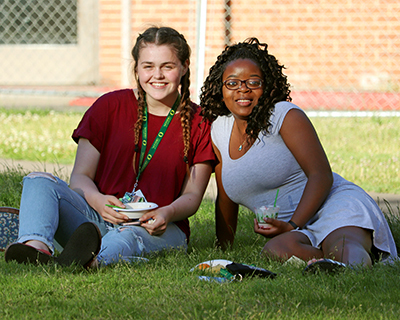 Get a taste of real college life while sleeping in dorms, eating in campus dining halls, and attending college-level courses. Learn from college professors and top professionals in the field. Explore emerging technology and media as you practice the fundamentals of writing and storytelling in hands-on courses. 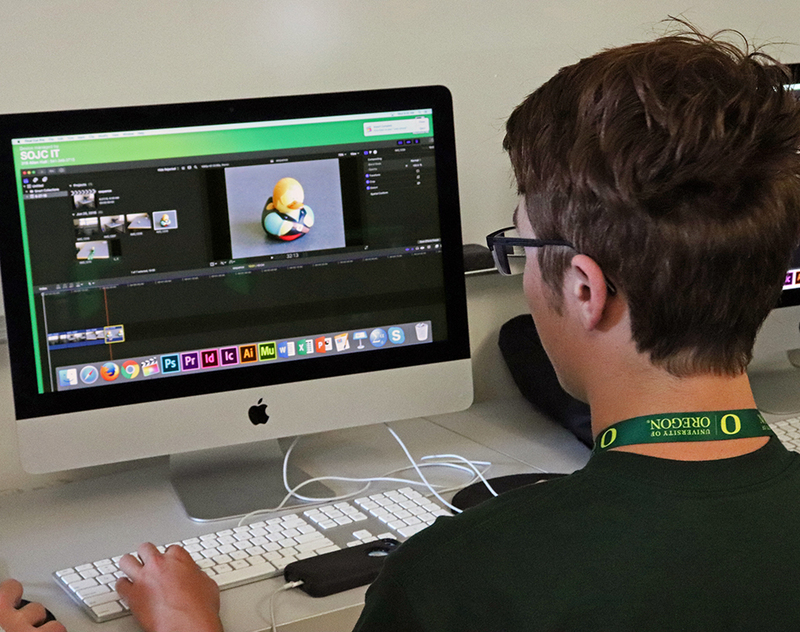 Earn college credit at the University of Oregon. Meet students from around the nation who share your love of journalism and communication. "I have a notebook full of takeaways and things I will implement in high school." 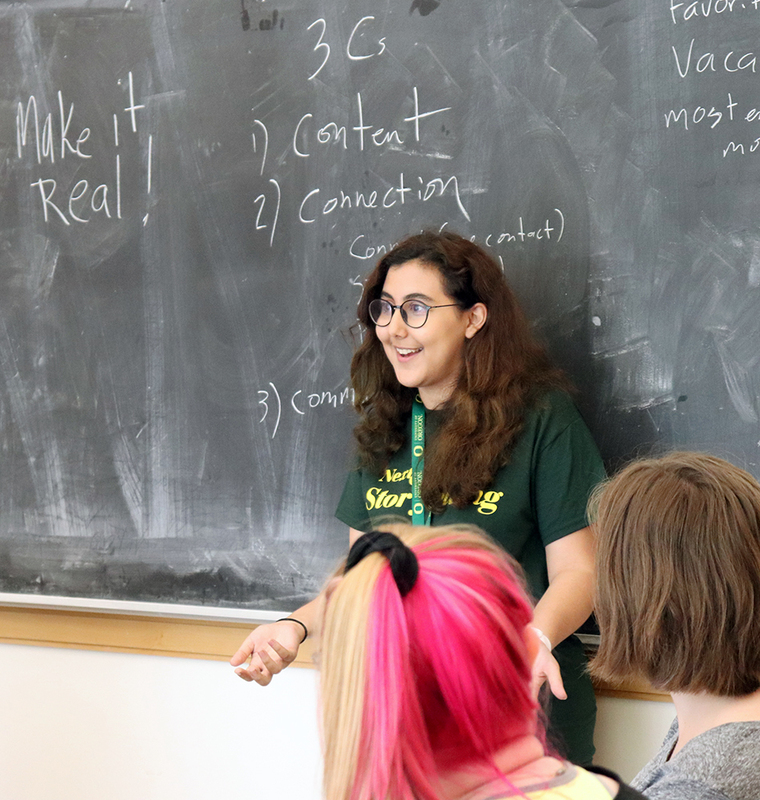 "I was amazed by the speakers and the people that were going to teach me because they had so much experience that I could learn from." "I learned how to make my own unique voice shine through." 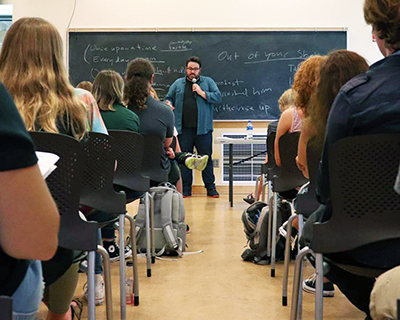 You'll stay on the UO campus June 23–28, 2019. You’re eligible if you’re a high school student entering grade 10, 11, or 12 during the 2019–20 academic year. This course provides insights into the advertising world. Students will take a creative journey to explore advertising media platforms such as magazines and videos. Students will work in groups to produce one advertisement related to sustainability issues. With more than a quarter of Americans listening to podcasts on a monthly basis, this platform for storytelling and information dissemination is growing. This audio storytelling course will give students the framework and basic knowledge necessary to produce high-quality audio pieces. 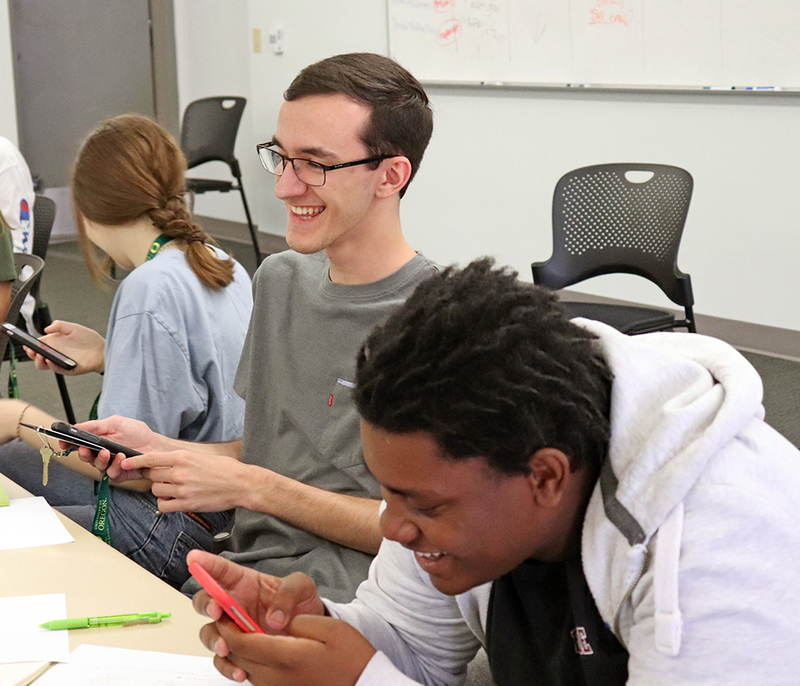 Students will get hands-on experience working with audio recorders and nonlinear editing software while developing techniques for audio interviewing. 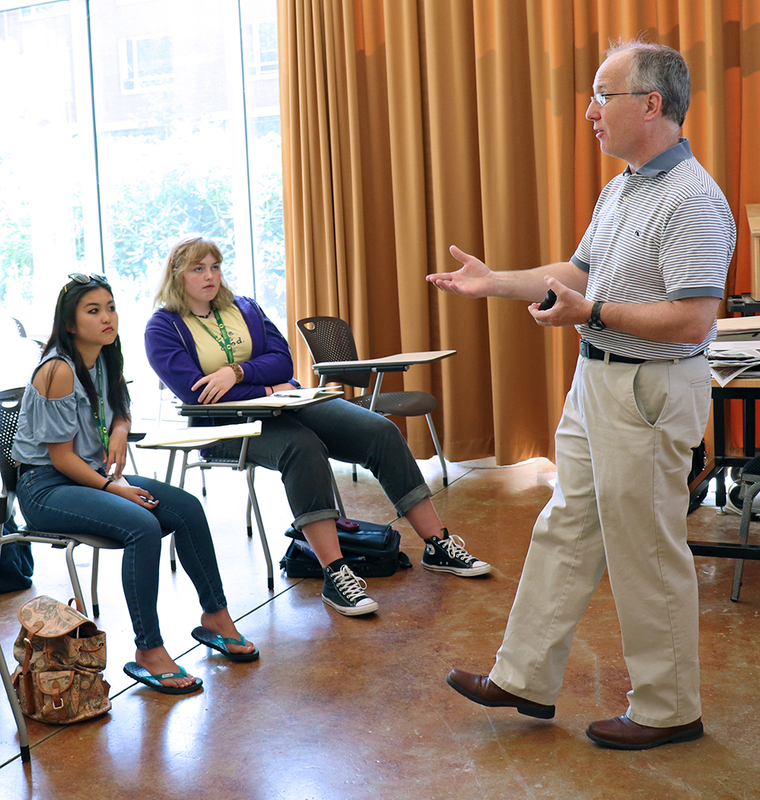 Over the course of a week, students will learn how to pitch a story, conduct an interview, edit their material, and create a 2- to 3-minute audio story one might hear on the radio or on a podcast. The longtime success of such publications as People, Teen Vogue, and Vanity Fair show that readers enjoy reading profiles and learning what makes people tick. This also holds true for high schoolers, who, via their school publications, have an opportunity to write profiles on all sorts of people—the new principal, the veteran custodial employee, the star athlete, the student admitted to every Ivy League university, the beloved history teacher. 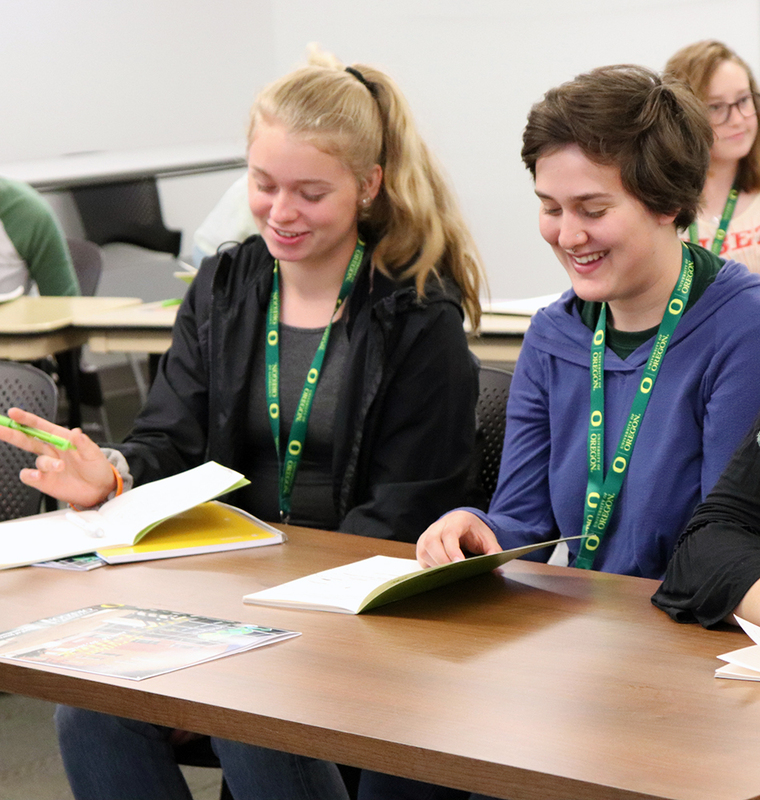 In this class, students will examine examples of strong profile writing across a wide spectrum—entertainment, sports, business, everyday life—while pinpointing the threads that connect all good profile pieces. 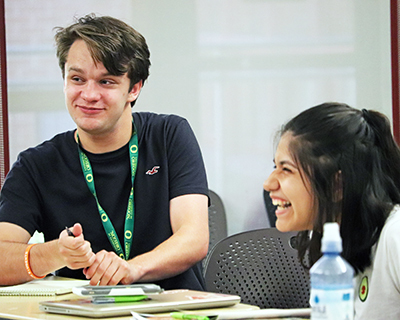 Participants will learn skills instrumental to profile writing, including researching subjects, interviewing, and organizing material, and will complete a profile by the end of the week. You’ve passed the courses, read the books, written the papers, and taken the tests. You’re smart, equipped, and ready to feed the consumption machine with your brilliance and creativity. But the thought of pitching your idea in a meeting with executives is terrifying. One of the most powerful devices you own is your smartphone. Learn how to maximize your smartphone use to create compelling video stories for your publication’s website and/or social media. 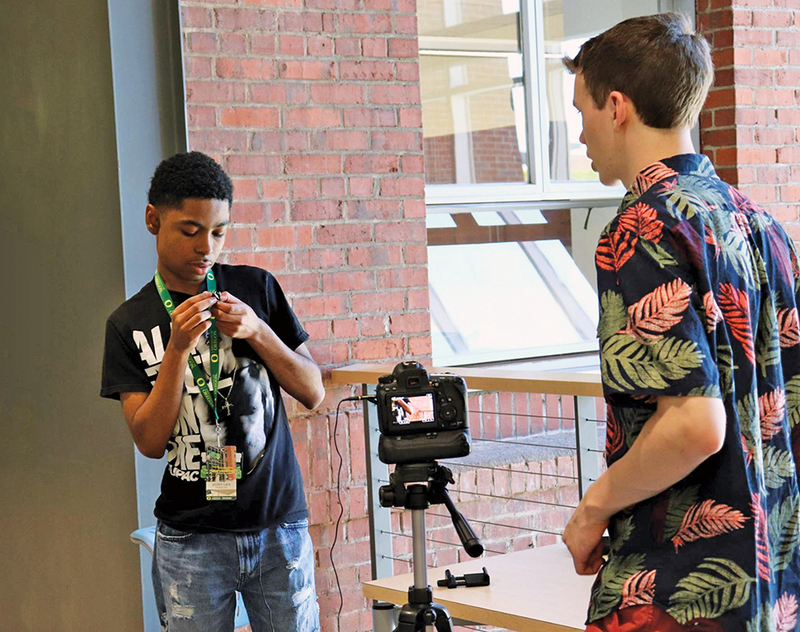 Students will delve into storytelling conventions and media aesthetics by capturing audio, using available light, and mastering postproduction workflow strategies. Students will engage in significant mobile video fieldwork and postproduction. The business of sports has exploded over the last 25 years. And sports, entertainment, and marketing are completely intertwined. What used to be a career you chose because you loved the game, the team, an athlete, or a university is now a multibillion-dollar global phenomenon. This growth has spawned tremendous opportunity and unprecedented challenges. At every level of sport, there are great stories to tell, and we need great storytellers to tell them. Let’s start communicating. Contact us with any Next Generation Storytelling questions.